"Prayer" by Allan Houser. Photo courtesy Philbrook Museum of Art. “Prayer” by Allan Houser. Photo courtesy Philbrook Museum of Art. The Oklahoma-born artist earned a reputation as an innovator of not just American Indian art, but American art, too. Whether painting, drawing or sculpting and carving, the late Houser has received a lot of posthumous attention on the 100th anniversary of his birth. The National Cowboy and Western Heritage Museum continues the show Allan Houser and His Students through Friday, May 11 (www.nationalcowboymuseum.org). 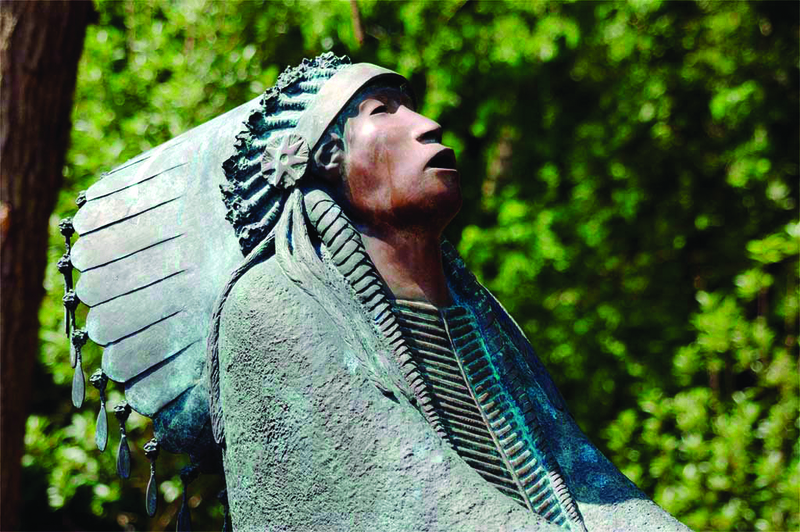 Form and Line: Allan Houser’s Sculpture and Drawings ends June 29 at Gilcrease Museum (www.utulsa.edu/gilcrease). The Oklahoma City Museum of Art presents Allan Houser: On the Roof May 1-July 27 (www.okcmoa.com). Philbrook Museum of Art opens Allan Houser: A Celebration May 25-Nov. 2 (www.philbrook.org). Allan Houser Drawings: The Centennial Exhibition ends May 18 at the Fred Jones Jr. Museum of Art (www.ou.edu/fjjma). Born to Freedom: Allan Houser Centennial continues through Dec. 31 at the Oklahoma Historical Society (www.okhistory.org). The Oklahoma State Art Collection at the Oklahoma State Capitol continues Allan Houser at the Capitol: A Legacy in Bronze through Dec. 15 (www.arts.ok.gov).